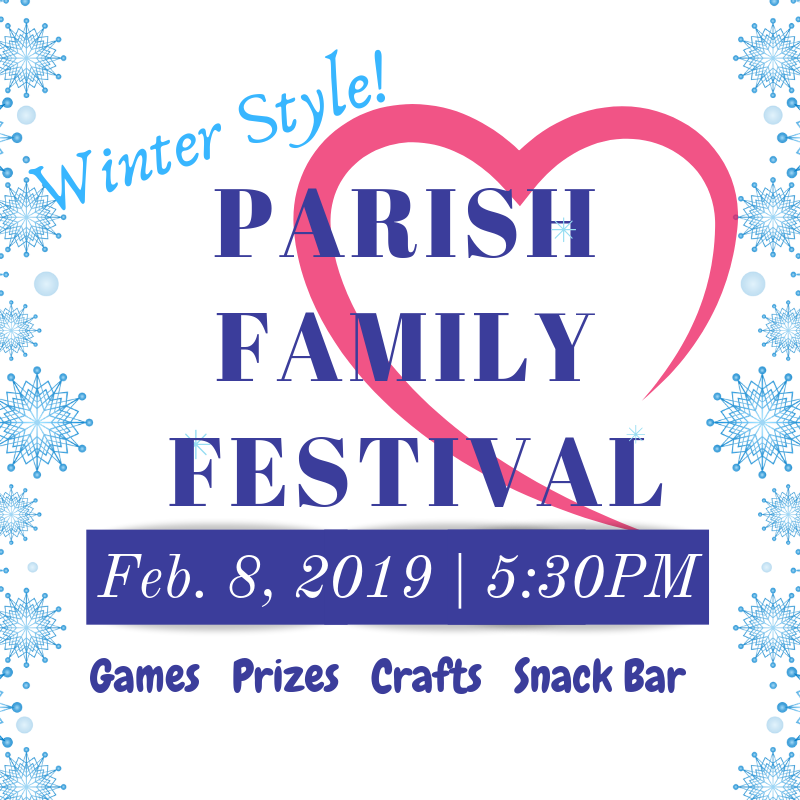 Our Annual Parish Family Festival… Winter Style! Usually held in Fall, join us for our first ever Winter Festival. Enjoy games and prizes, crafts and snacks. There will be face painting and the wonderful Looney Dooney magic show. Don’t forget everyone’s favorite – the Cake Walk! Volunteers to help with the event are always welcome!